You have probably seen them while driving around Atlanta, and they may have really caught your attention or helped you get where you needed to go. 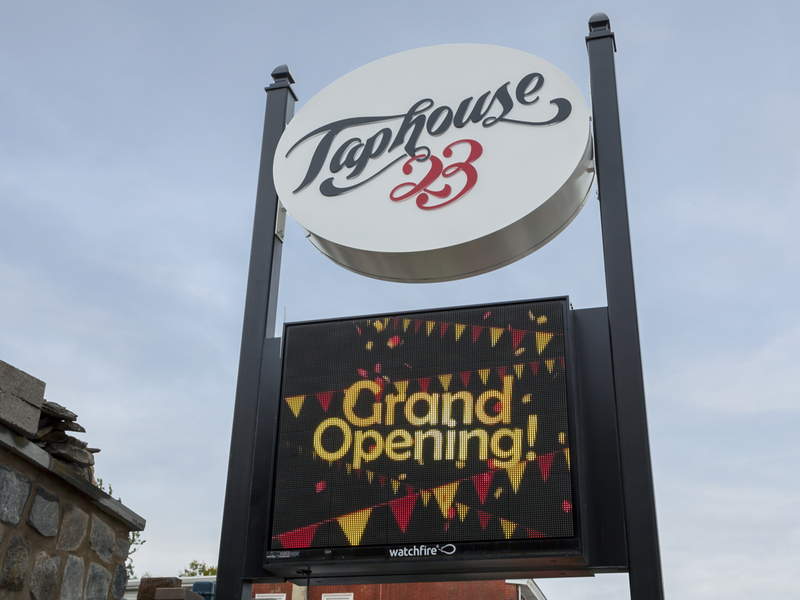 Pylon signs are generally tall freestanding signs with one or two exposed poles and may contain different features such as a LED board, channel letters, light pole banners, or other forms of illumination. They are particularly suited to getting the attention of motorists driving by a place of business. Often they are used by, but not limited to, such places as hotels, gas stations, restaurants, and shopping centers. If your Atlanta business is near a freeway ramp, or your Mableton company is one of many along a road whose structures are more or less the same height, or your Tucker business is near a highway, a pylon sign may be right for you. It can make you stand out from a crowd and alert motorists to your location before they pass by it. Not all pylon signs may be suitable for your business. The sky-high pole with a small sign at the top that you may have seen along the interstate may not do for the type of operation you are running. Fortunately, you are still able to choose from a variety of styles. Some retailers have chosen quite elegant, ornate signs that are appropriate for their business and serve as a great marketing asset as well. 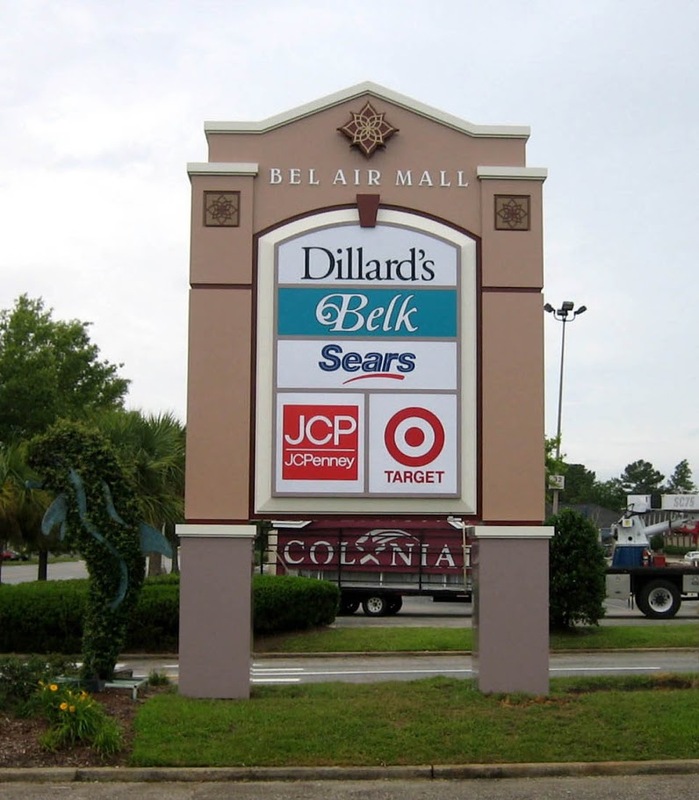 In the case of a shopping center or strip mall, the height of a pylon sign with the build of a monument sign can be the way to go. Each of the businesses can have their name displayed on the sign, and often customers attracted to one business can benefit the other businesses too. Taller is good in this case so that each proprietor can have a spot of the same or similar size. In at least one survey we are acquainted with, conducted by the Signage Foundation, over 80% of those who responded described themselves as “frustrated or annoyed” when they were not able to read a small sign, and over 90% indicated they believed signs should be big enough for motorists to read. Simply put, pylon signs attract more customers to a business. As the premier sign company serving the entire Southeast, United Signs of Peachtree Corners can help you choose the right pylon sign for your business and incorporate this valuable asset into your marketing plan. Call United Signs of Peachtree Corners at 678-203-6044 or submit our no-obligation contact form for assistance. Let our team of experienced designers and fabricators help you turn your requirements into an attractive sign that will do its job for years to come.